ItemA-02022 - Billy Bristol, messenger, Hope, Yale and New Westminster. ItemA-02024 - John Cunningham Brown of New Westminster. ItemA-02029 - George Douglad Brymner of New Westminster. ItemA-02033 - Henry John Cambie, civil engineer, Canadian Pacific Railway engineer for the Fraser Canyon. ItemA-02043 - Captain and Mrs. Christiansen and children. ItemG-09065 - Mrs. Arthur Clark, president of the Metchosin Women's Institute meeting when the Colwood Women's Institute was organised. ItemA-02047 - Mrs. W. R. Gibbons, formerly Mrs. E. Gardner Clark. ItemA-02052 - Canadian Pacific Railway company's steamers in dock at Victoria. Item A-02043 - Captain and Mrs. Christiansen and children. 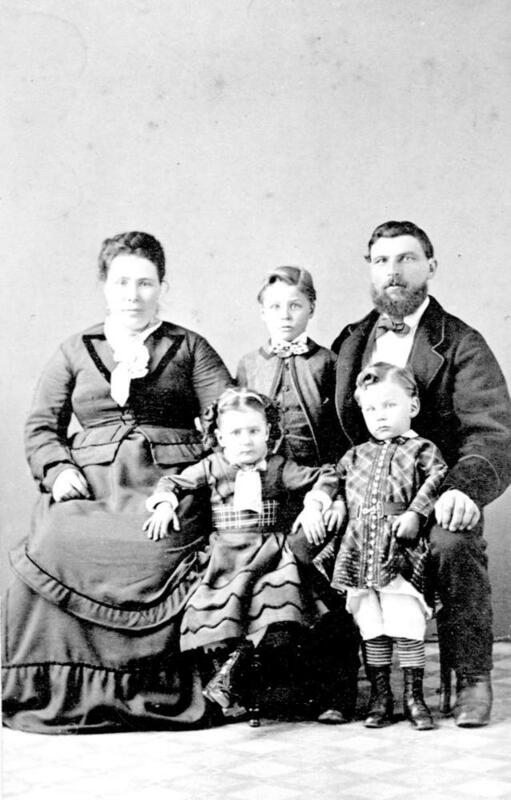 Captain and Mrs. Christiansen and children.